Yeah, yeah, another lunch at OTTO. But this time it was necessary, since my sister Laura is currently going to school only a couple blocks away and she’d never been before. 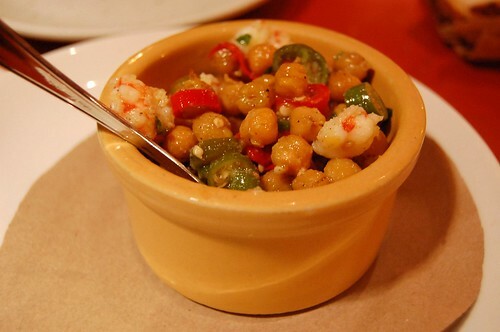 We started with an antipasti of shrimp, chickpeas, and chiles. Spicy and surprisingly flavorful for a cold dish. 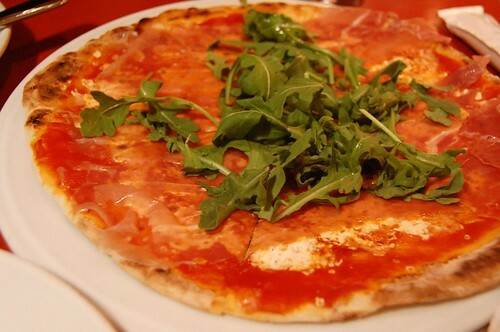 Then for mains, we stuck with my favorite pizza, the prosciutto arugula, and ordered the pasta alla norma, which may be my new favorite dish. Eggplant, bufalo mozzarella, and tomato might not sound that exciting on paper, but OTTO executed this pasta wonderfully. 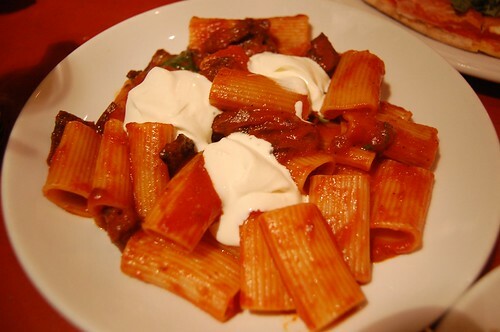 I loved mixing all that delicious gooey cheese with the crispy but tender eggplant and tomato until it emulsified into a creamy, rich sauce and the pasta was perfectly al dente, with just a little bit of bite. And of course, a meal at OTTO isn’t complete without a taste of the olive oil coppetta. This dessert is seasonal, so every time I come back, the components have changed. 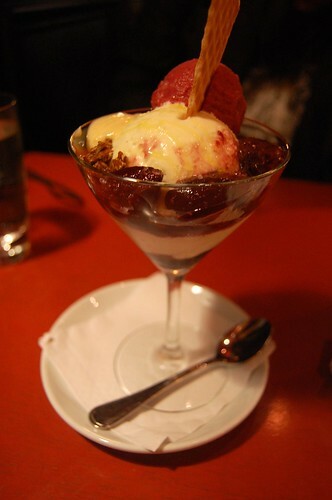 This time, accompanying the olive oil gelato we had figs stewed in red wine, fennel brittle (which I didn’t really like because of the strong anise flavor), Concord grape sorbet, and orange curd. Divine. So, Laura’s verdict? She absolutely loved it and said she’d come back again and again for a relatively inexpensive but refined pasta. Lucky for her, she can do that. You are currently reading Lunch with Laura at OTTO at Notes on Food.